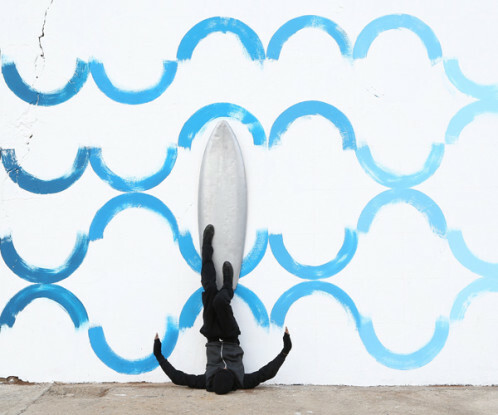 The Drawing Center is currently hosting ‘Drawing Waves’, a Robin Rhode exhibition. The German-based artist to South-African roots explores the seaside world with this show that reinterprets the waves, its move and colours. As an echo to the show, ‘Paries Pictus-Draw The Waves’ demands to kids aged 8-10 to draw an environment to a boat motif with big-sized oil crayons. This show reflects the numerous phases of Rhode’s work. From the first wall drawing chapter to the photographic setting that gives life to the mural and his social implication that are incorporated in each and every work. His oeuvre is therefore dominated by performances that first take place in the streets before seizing galleries and museums. ’Car Theft’ is a representative piece of Robin Rhode’s work, a performance in which he first draw a car that he then tried to stole through numerous photographic poses. Rhode is an illusionistic who takes the urban environment as his playground. 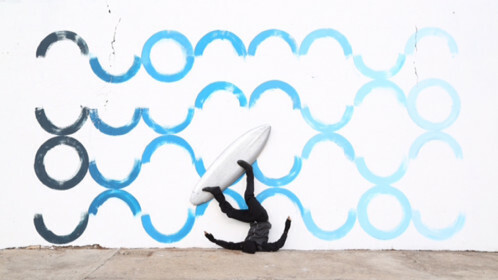 This time, and for the summer, with a nautical motif, the illusion is to surf on the see, in the middle of a museum.